In March of 2012 I visited a Ngbakan literacy class in Gemena, a city in northwestern Democratic Republic of Congo (DRC). Most of the students were adult women. The class instructors told me that since education is not free, families are often left to make the difficult decision about which of their children to educate. When faced with this impossible choice, many families choose to educate their sons. This has left many women without basic literacy skills. 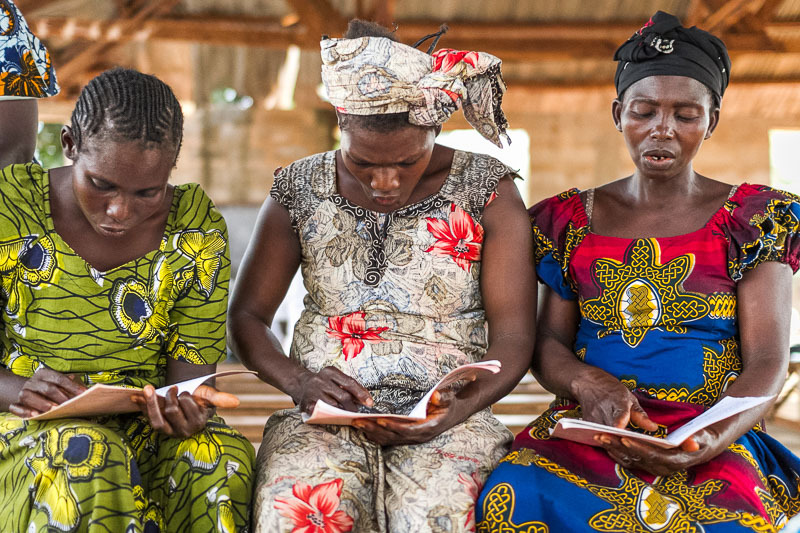 Approximately one billion people around the world do not know how to read, and two-thirds are women. Imagine not being able to read the label on your child’s medicine bottle, receipts of your purchases, or business contracts. Imagine not being able to read a letter from a dear friend. Imagine not being able to read God’s word in your own language. As I saw these ladies working hard on their lessons, I couldn’t help but think how much I take reading for granted. See more in this blogpost.